Jane Ira Bloom's synthesis of music and motion yields a mesmerizing blend of sound and sight. Bloom was inspired by the "extraordinary vitality" in Dickinson's language. Jane Ira Bloom, the innovative soprano saxophonist and composer, loves to tap into non-musical art forms as sources of inspiration for her bold, original music. With her passionate affinity for multiple forms of artistic expression -- everything from painting and film to theater and dance -- she transforms extra-musical elements into catalytic forces for her creative imagination as a composer and improviser. Bloom is, for example, a pioneer in the use of foot-switch operated live electronics blended with complementary body movements made while playing her gorgeous sounding soprano. Her synthesis of music and motion yields a mesmerizing blend of sound and sight, a sonic mobile creating a whirling world of kaleidoscopic shapes, colors, drama, and flowing lines all its own. In 2015, Bloom won the prestigious Chamber Music America New Jazz Works award for a new composition inspired by the iconic 19th-century American poet Emily Dickinson, whose writings are a motherlode of verbal riches for the composer to mine for inspiration and illumination. Appropriately enough, Bloom presents the premiere of her new work, Wild Lines, an homage to Dickinson, a lifelong resident of Amherst, on Thursday, April 28, at 8:00 pm in Amherst at the University of Massachusetts’ Bezanson Recital Hall. Bloom said she was inspired by the “extraordinary vitality” and “the felt improvisatory impulse” in Dickinson’s language, a transcendent bond linking the poetic art of Bloom’s 19th century muse with the lyrical saxophonist and composer’s own poetically imaginative, wild lines and creative 21st century music. Bloom’s collaborators are Dawn Clement, piano and keyboards; Mark Helias, bass; and Bobby Previte, drums. Actor Deborah Rush will perform readings from the poems and correspondence of the brilliant, eccentric Belle of Amherst. A rule-breaking, initially ignored, then scorned, later revered and canonized idiosyncratic genius, Dickinson is the Thelonious Monk of American poetry. Tickets: $12.00, general; $7.00, students. Information: (413) 545-2511. 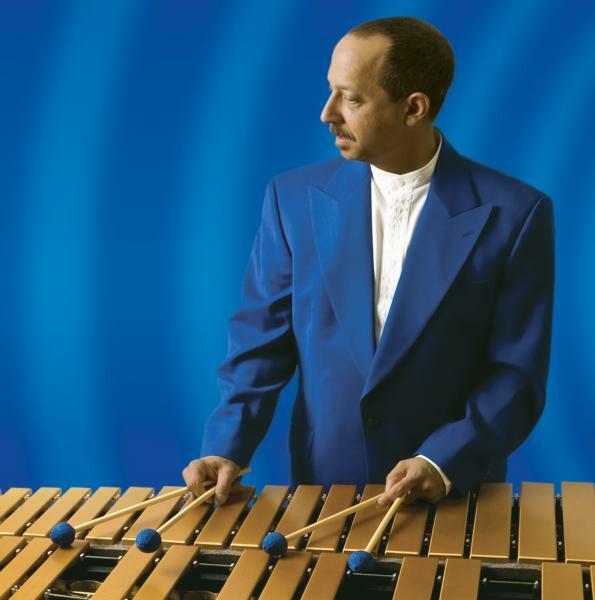 With a splendid double-CD album just released and a sentimental career milestone anniversary impending, Jay Hoggard, the renowned vibraphonist,composer, bandleader, and educator, has much to celebrate as he performs with his Harlem Hieroglyphs Ensemble on Saturday, April 30, at 8:00 pm at Wesleyan University’s Crowell Concert Hall on the Middletown campus. Tickets: $15.00, $12.00, and $6.00 Wesleyan students. Box office: (860) 685-3355. Hoggard, a Wesleyan alumnus (Class of ’76) and adjunct full professor of music and African-American studies at the university, will present music from his new album, Harlem Hieroglyphs, in commemoration of the 40th anniversary of his Wesleyan senior recital in the very same venue, Crowell Concert Hall. Marking a symbolic, full-circle journey for the mallet master, the concert is a fitting celebration of his artistic evolution from the promising, young player of 40 years ago to his status as a world-class instrumentalist and composer. For his gala anniversary of his student recital rite of passage, the maestro leads an exciting ensemble featuring himself on vibes, the acclaimed saxophonist Rene McLean and three longtime collaborators, pianist and organist James Weidman, bassist Belden Bullock, and drummer Pheeroan akLaff. On Harlem Hieroglyphs, which is illuminated with a kaleidoscopic array of genres from modern jazz to musical theater, from spiritual to swinging moods, Hoggard’s collaborators are master alto saxophonist Gary Bartz along with Weidman and Nat Adderley Jr. sharing piano and organ duties; Bullock on bass and Yoron Israel on drums. Amazingly, Hoggard and Bartz, who are longtime friends, had never even gigged together, much less recorded together. Hoggard custom-tailored arrangements with the fine art of Bartz specifically in mind. You can feel the creative empathy that bonds this entente cordiale, one that recalls such classic vibes and alto alliances as Milt Jackson and Cannonball Adderley, or Bobby Hutcherson and James Spaulding. On one level, Hoggard has created a triumphant jazz album, a dramatic showcase for his diverse composing skills, garnished with fresh takes on a handful of standards, including Frank Loesser’s "If I Were a Bell" from the Broadway musical, "Guys and Dolls"; Sonny Rollins’ "Airegin" (jazz’s most famous palindrome), and Duke Ellington’s "My Love." While the standards get royal treatment, Hoggard’s originals are the album’s crown jewels. Among these are the celebratory rent party special, "Harlem Jazzbirds Swingin’ and Swayin’"; "Sonic Hieroglyphs," an ode to jazz’s sophisticated sonic semiotics, signs and symbols expressing the sweet and bittersweet mysteries of life, and Disposable Consumption, landscaped with brilliant corners and a mysterious motif of sharp consciousness morphing in and out of an edgy, subconscious dream state. A number of pieces were originally written for a dance collaboration. They were inspired by such momentous historical forces as the black migration from the rural South to the urban North, and the glories of the Harlem Renaissance. Throughout, there’s the underlying theme of the hieroglyphs of jazz, the music’s uniquely creative, emblematic lexicon, alive with nuance and layers of symbolic meaning. Hoggard’s striking gallery of sonic portraits reflects many inspirations, both artistic and personal, that nourish his imagination. 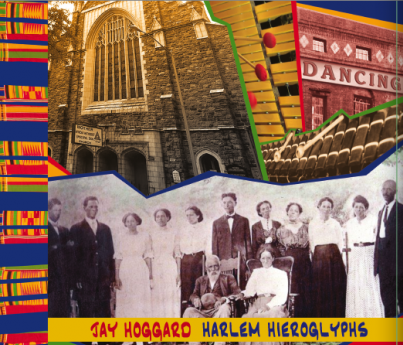 Harlem Hieroglyphs is alive with open-ended potential, perhaps even as the foreshadowing of a historical and culturally-oriented musical theater work graced with evocative narrative pieces resonating with cultural relevance. Or the album could be the gateway to programmatic tonal suites as painterly as the works by such great African-American artists as Jacob Lawrence, a master chronicler of the African-American experience, including his celebrated Migration Series. 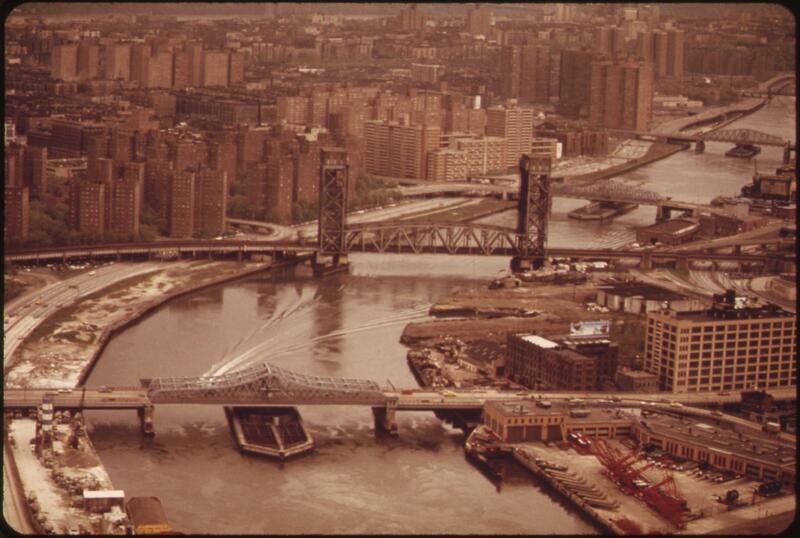 The Harlem River, with Harlem on left and the Bronx on the right. Part of what fuels Hoggard’s soaring, imaginative flights are his passion for jazz in all its historic and cultural breadth and depth, and his fascination with the legacy of Harlem’s Golden Age, its rich, vibrant social and cultural life from sacred churches to secular shrines for jazz. Along with a host of aesthetic, intellectual and psychological inspirations resides his deep-seated sense of family, pride in its roots and history. Moved by spirituality, scholarly intensity and uncompromising integrity, the composer/savant is on a mission to use his artistic gifts to spread the good word about the power and the glory of jazz’s hieroglyphs, those myriad, mysterious, sub rosa, miraculously redemptive messages that have left a profoundly expressive, ineffable yet indelible mark on America’s creative consciousness. Among the many reasons why you should plan to see Brooklyn Rider on February 4 at The Hartt School is one bittersweet one: it will be among the last opportunities audiences will have to experience the groundbreaking string quartet with its founding membership intact. The winner of NPR Music's 2016 Tiny Desk Contest, Gaelynn Lea, produced a "serpentine, earworm melody" with "tremendous heartache in her poetry," according to judge Robin Hilton.